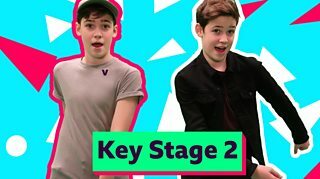 Let Max and Harvey get your Key Stage 2 class to their feet and learning all about measurements. The song and movement routine covers which unit of measurement to use for lengths, volume, mass and time. The Brain Booster routines can be performed in a limited space, and encourage learning through curriculum-linked topics. This video can be used as an introduction to the topic or as a recap. Download the lyric sheet so children can sing along with Max and Harvey. Check out this Bitesize Primary Key Stage 2 guide to capacity.